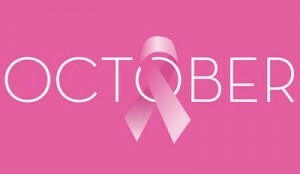 As many of you know, October is an incredibly important month for cancer initiatives around the world. Between spreading awareness, raising crucial funds, and kicking off important initiatives, it’s inspiring to see what can be accomplished when everyone comes together for causes that touch us all. Here are just a few of the many ways you can get involved this month. According to the American Cancer Society, breast cancer is the most common cancer among women in the United States (other than skin cancer). But millions of women are surviving the disease thanks in part to early detection and improvements in treatment. Currently, it is estimated that one in every eight women will be diagnosed with breast cancer in her lifetime. By spreading awareness and encouraging women to take the proper precautions for early detection and diagnosis, we can lower that number and prevent it from affecting the people we love. Take a moment to get educated on the risks factors associated with breast cancer, and how early detection is one of the best defenses in fighting the disease. And don’t forget: National Mammography Day is on October 16 this year (the third Friday each October)! Did you know the liver is the second most important organ in your body and is located under your rib cage on the right side? How about that your liver weighs about three pounds and is shaped like a football that is flat on one side? October is also Liver Cancer Awareness month, and each year, nearly 30,000 Americans are diagnosed with the disease. Primary liver cancer is one of the cancers on the rise in the United States, and is about twice as common in men than in women. We’re proud to announce our fundraising is once again getting a jolt from Honey Dew Donuts, New England’s largest locally owned coffee and donut shop chain, to support cancer patients and their families. During October 2015, Honey Dew, the official coffee of the Joe Andruzzi Foundation, will bring back the JAF-inspired “(Up)Beat Donut,” offering it at all of their 145 locations throughout Massachusetts, New Hampshire and Rhode Island, with a portion of the proceeds from the specially-created red and blue-sprinkled, chocolate frosted donut to be donated to the Foundation. Additionally, all Honey Dew locations will sell $1 and $5 window decals and will match and donate all proceeds of the decals, dollar for dollar, to JAF until the campaign ends on October 31, 2015. Honey Dew is also re-launching its October social media contest, where customers will have the chance to win an Apple® Sport Watch when they post a “selfie” with the life size cut-out of Joe Andruzzi found at participating Honey Dew shops and post it to their Instagram, Twitter or Facebook pages using the hashtag #IFoundJoe. Together, we can (Up)Beat cancer and spread the Foundation’s message of help, hope, and reasons to smile even during life’s most difficult challenges! Click here to find out more about our partnership. To kick-off the start of our October campaign, members of JAF and Honey Dew Donuts set up shop in a retrofitted Airstream on Boston’s Rose Kennedy Greenway on Monday morning to pass out free coffee and (Up)Beat Donuts. Check out the photos here! Be Bold, Be Bald! is a national fundraising event held on the third Friday of October each year (October 16, 2015), and takes place wherever you are. Participants go bald by boldly wearing a bald cap (or very boldly shaving their head) to honor those who bravely fight cancer and raise money to help fight back. Please register now to support the Joe Andruzzi Foundation’s Be Bold, Be Bald! team and begin your fundraising efforts. Who will you be bald for?